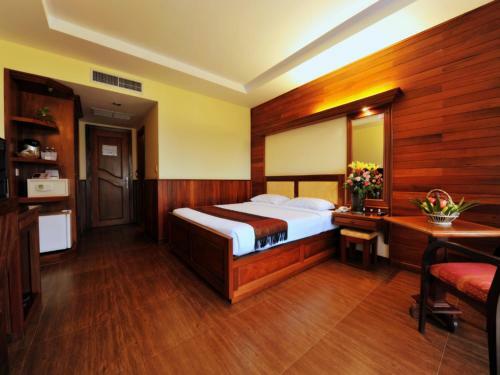 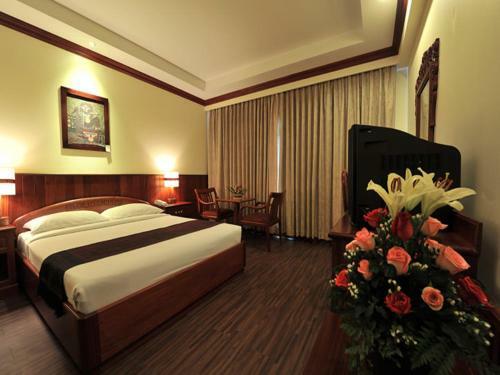 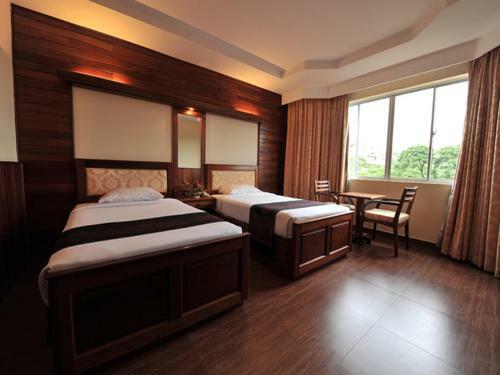 City River’s rooms feature wooden furnishings and city or river views. 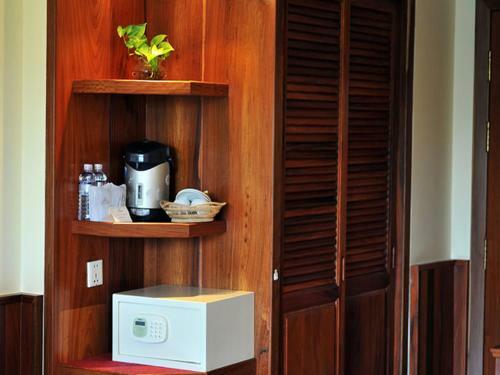 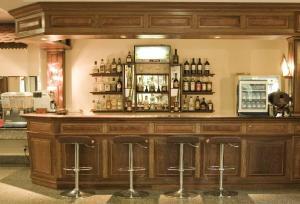 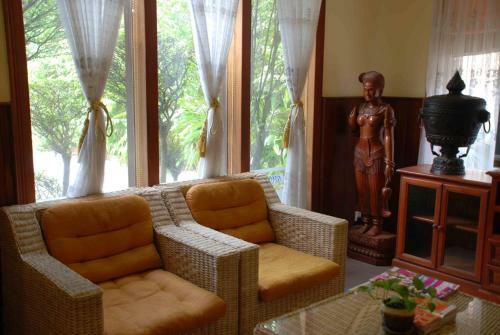 Each air-conditioned room has cable TV, a minibar and a safety deposit box. 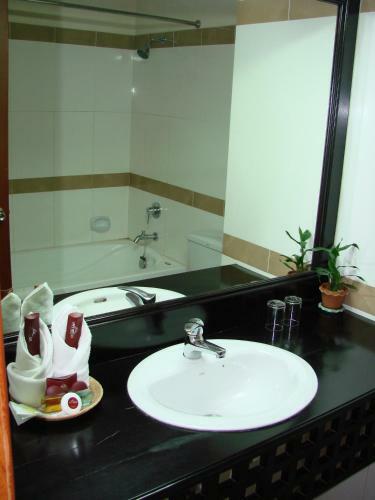 The private bathrooms are fitted with a bathtub and overhead shower. 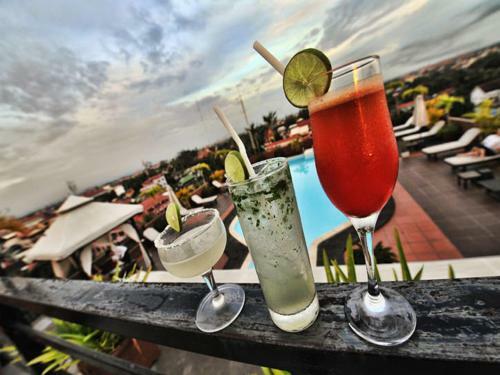 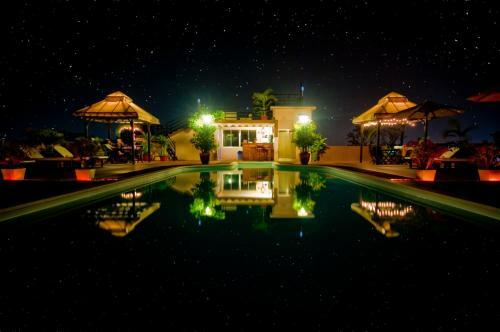 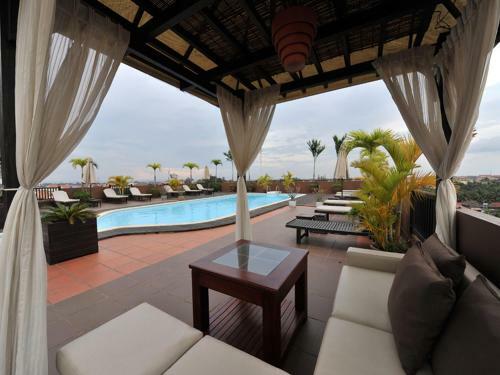 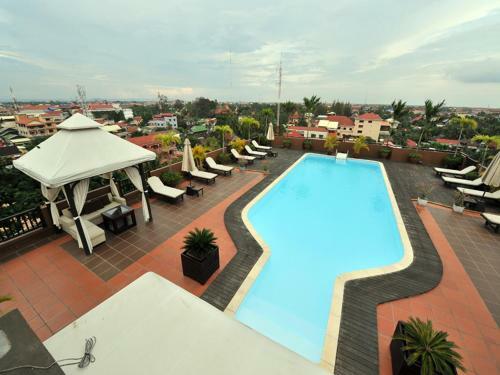 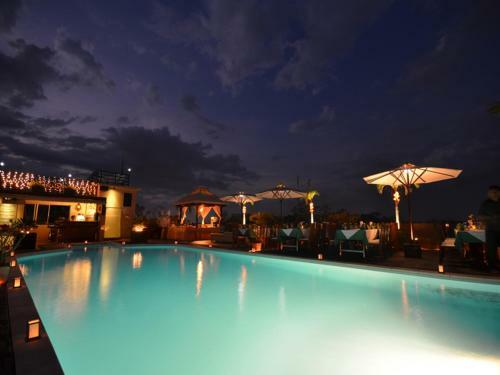 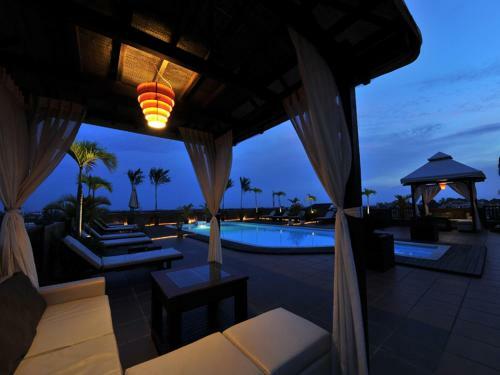 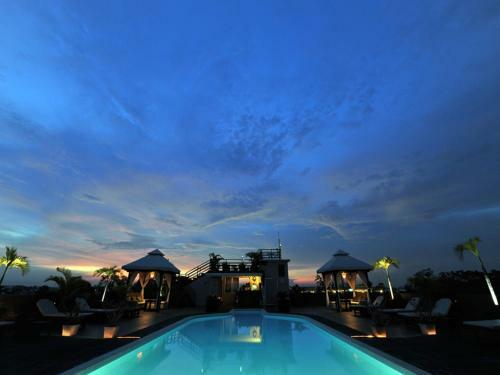 Guests can exercise in the fitness centre, or relax on a sun lounger on the rooftop while enjoying sunset views. 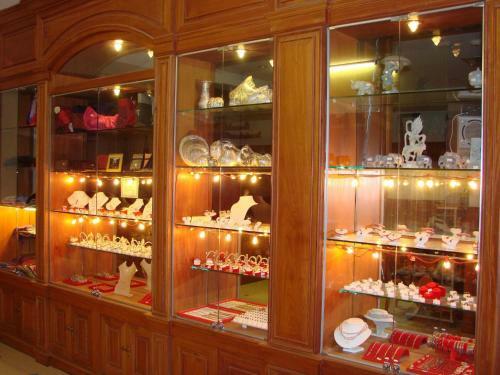 The souvenir shop sells local crafts such as jewelry and silks. 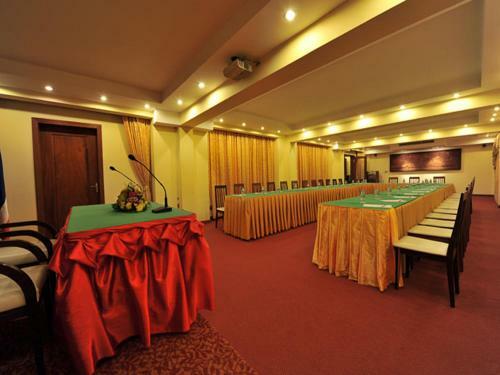 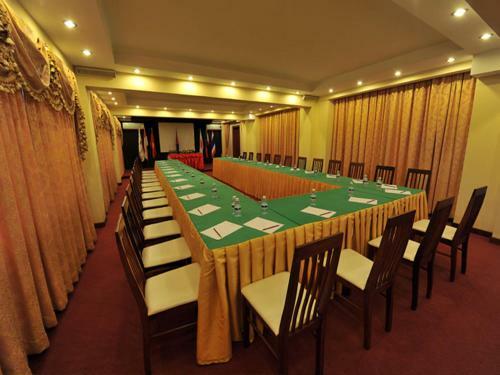 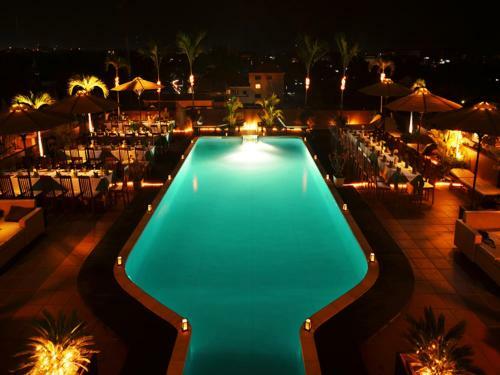 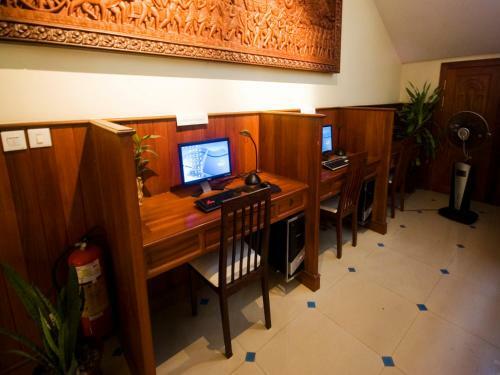 Free Wi-Fi is provided throughout the hotel, which also offers tour arrangements and car or bicycle rental. 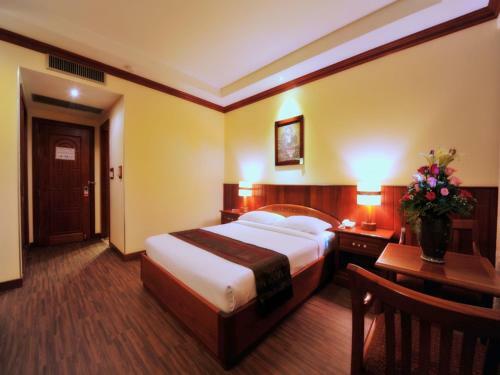 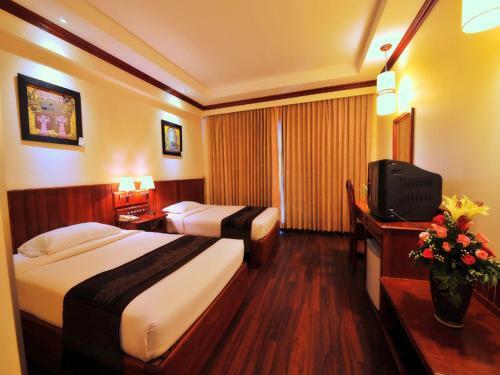 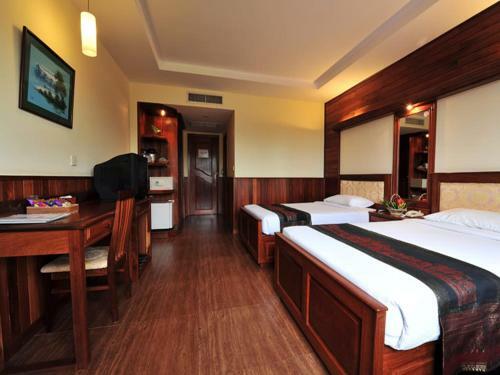 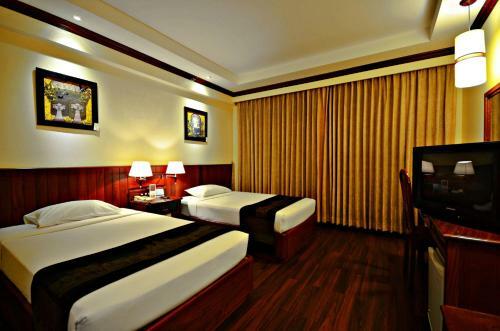 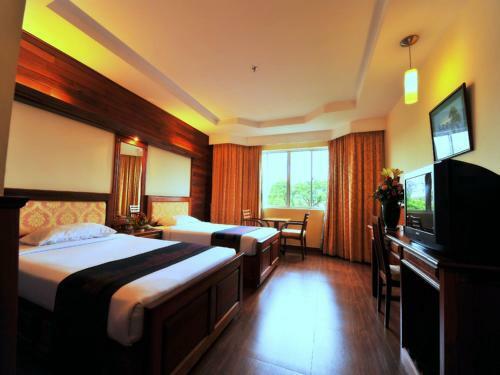 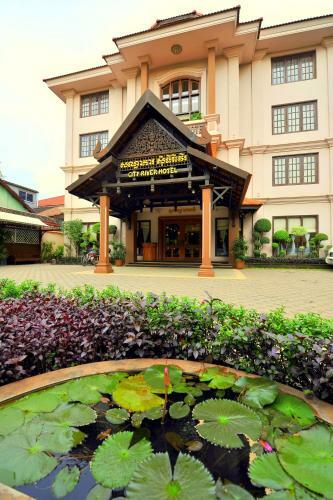 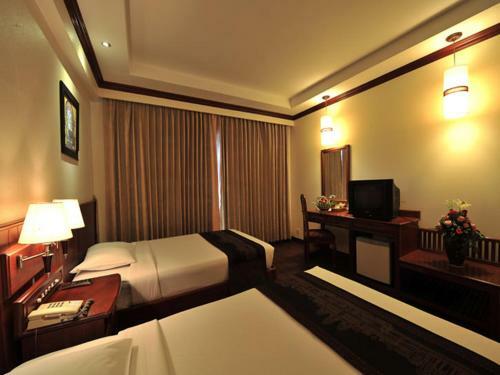 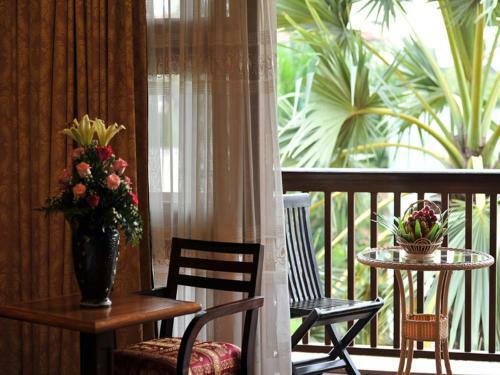 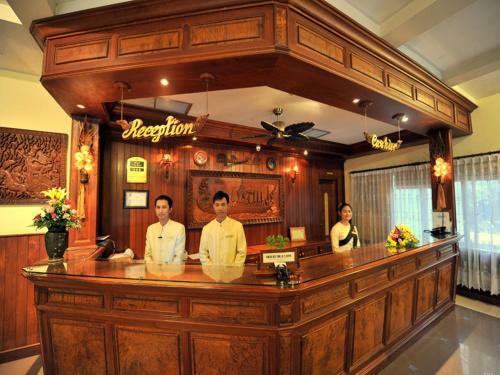 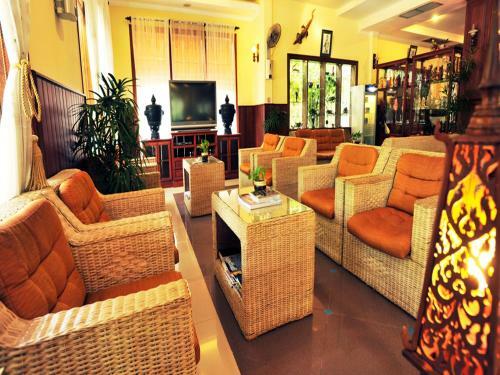 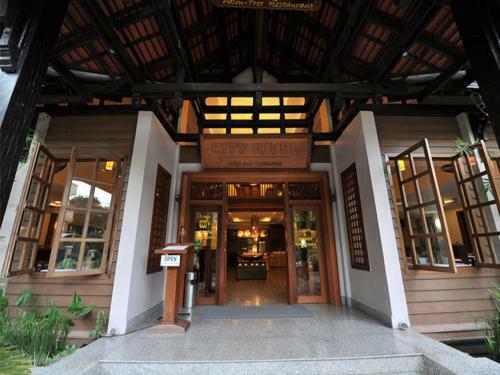 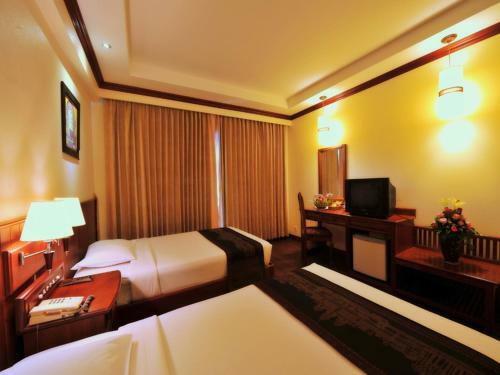 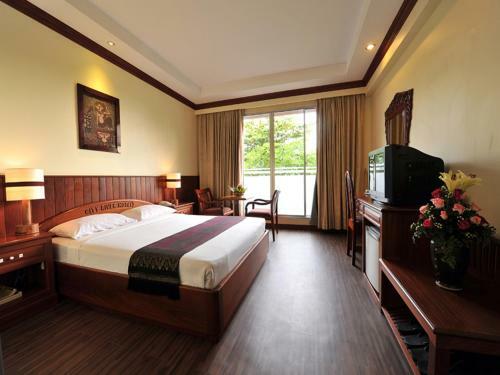 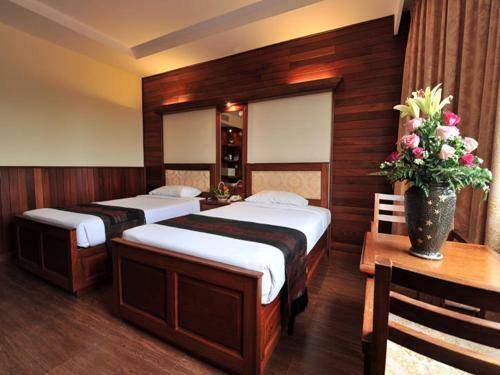 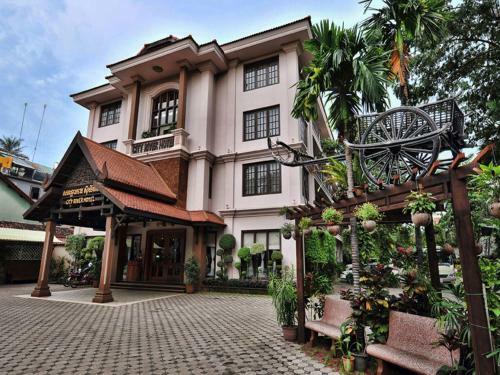 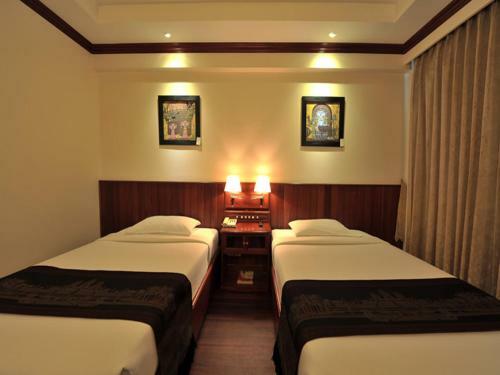 Hotel City River is 10 minutes’ drive from the Angkor Temples. 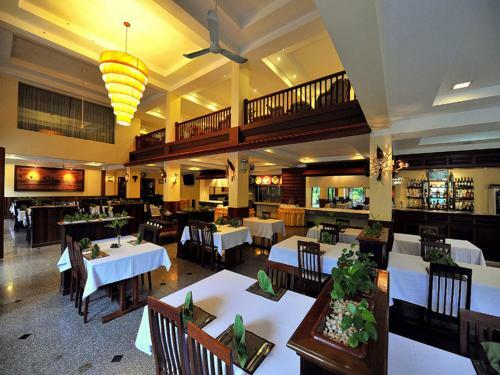 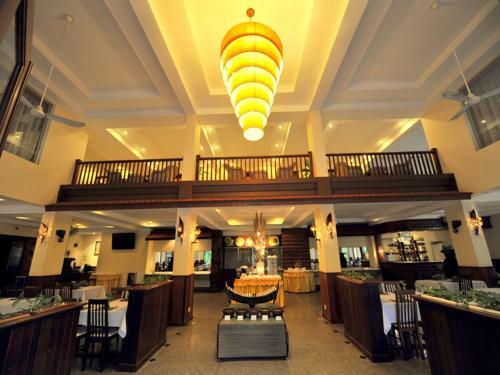 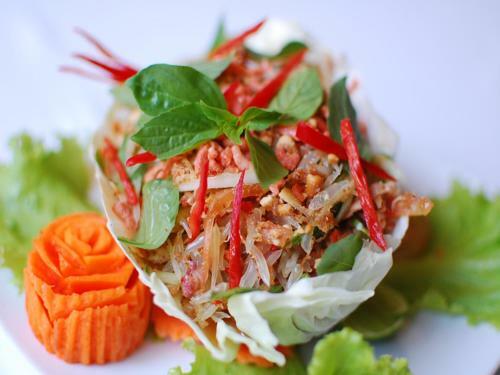 Siem Reap International Airport is a 20-minute drive away.